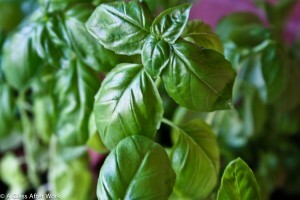 Hubby has been growing an herb garden in our sunroom. I helped him plant what felt like hundreds of seeds, just so we could transplant the pods into individual mini clay pots, but since then, he’s the one who has been all about watering and caring for the plants. I’ve made use of them, to be sure, particularly when I was looking for oregano, parsley, and cilantro to make the avocado chimichurri bruschetta that I found on Pintrest. But, if I’m being honest, the herbs are really his project, and he’s slowly been using them to cook. However, I admit I never expected him to make his own pesto…and wow, did he make a mean pesto from scratch. And, what pairs better with pesto than a Greek Assyrtiko, particularly in the 104 degree weather we were having in DC? 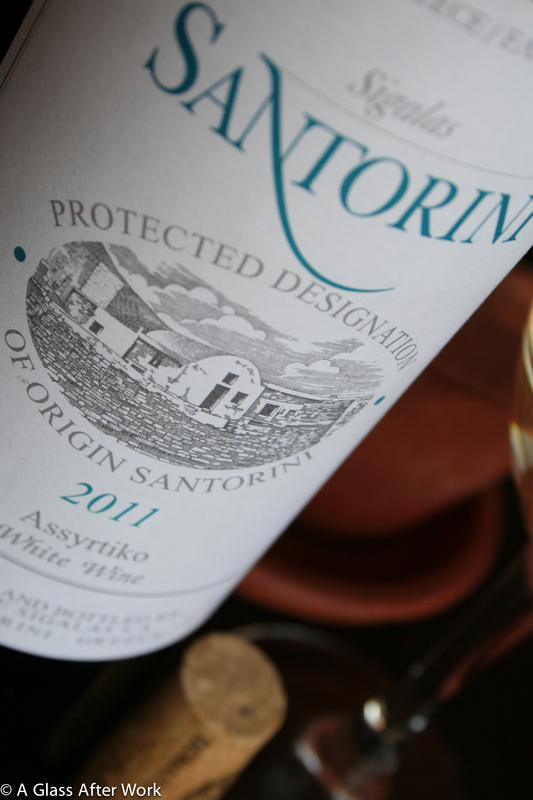 The 2011 Domaine Sigalas Assyrtiko White Wine (winery) was from Santorini, Greece and had a light-to-medium straw yellow color. On the nose, there were limes, grapefruits, and mangos mixed with thyme and wet stone. In the mouth, there were lemon Sour Patch kids, thyme, and touches of salinity and wet stone. The wine had high acidity and a light body. Is this worth a glass after work? Definitely! If you see this wine in the store, grab it; you won’t be disappointed. At an SRP of $18, this is a wine offers something a little different and is a wonderful addition to a chicken or fish meal. In fact, it is definitely meant to be enjoyed with food, and if you are having something that is reminiscent of Mediterranean food, even better. On my first night with this wine, Hubby used the pesto sauce to make a baked pesto chicken topped with parmesan cheese and couscous that made for an out-of-this-world pairing. Both the dinner and the wine were good on their own, but together they complimented each other in a way that highlighted the flavors in both the wine and the chicken while cutting down a little on the wine’s acidity. Two nights later, Hubby made grilled fish and pesto baked potatoes, which also made for a fabulous combination with this wine. Question of the Day: Do you make your pesto from scratch? What recipe do you use?